To the Editor: Although Campbell-Thompson et al did not approve of our revised definition of insulitis , we appreciate the reasoning and arguments put forward. However, we find it unfortunate that the authors affiliated with the 2013 consensus definition of insulitis  fail to see the predicaments with their report in light of our new data . 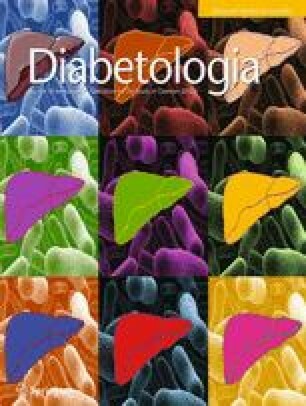 The pathoaetiology of type 1 diabetes remains undetermined and little is known about the role of the insulitic lesion in this process. While a few T cells present in the pancreas have been demonstrated to react to islet antigens in some individuals with type 1 diabetes [4, 5, 6], indication of mono- or oligoclonality remains lacking and most lymphocytes that are found in the islets are of unknown specificity . In fact, the peculiar accumulation of T cells in the peri-islet area, with only few cells infiltrating the actual islet parenchyma, suggests that these cells are not part of a conventional cytotoxic response targeting the beta cells. Regarding islet inflammation in type 2 diabetes, Campbell-Thompson et al claim that there are no data to support the proposition that this process plays a role in the pathogenesis of the disease and they suggest that the term ‘insulitis’ should not be used when referring to patients with type 2 diabetes. Here we refer to a recent publication by P. Marchetti , arguing a crucial role for islet inflammation as part of the pathoaetiology of type 2 diabetes. A consensus definition for determining the presence of islet inflammation in type 2 diabetes is currently lacking and a definition of ‘insulitis’ in type 2 diabetes has been requested . Infiltrating immune cells are key to any definition of insulitis, and ≥15 CD45+ cells in ≥3 islets is what we and others [8, 9, 10, 11] have interpreted as central to the consensus definition. The presence of pseudoatrophic islets, i.e. islets devoid of beta cells, is useful for determining whether a pancreas is from an individual with type 1 diabetes or not, but adds little information on why the beta cells were lost. As a requirement for the diagnosis of insulitis, the presence of pseudoatrophic islets makes the threshold level of CD45+ cells in type 1 diabetes redundant, and precludes the diagnosis of insulitis in other patient groups, including most donors without diabetes but with diabetes-associated autoantibodies. The authors of the letter  erroneously referred to our report by stating that four donors with recent-onset type 1 diabetes had ≥15 CD45+ cells in ≥3 islets. In fact, two of these donors had long-standing type 1 diabetes and one of them was without remaining insulin-positive cells. Pancreatitis and ongoing inflammation have frequently been reported in the exocrine pancreas of type 1 diabetic donors [4, 12, 13] and from our report it can be deduced that these also occur in the pancreas of individuals with type 2 diabetes. When the original consensus definition was designed, the threshold level for insulitis was set at a level to distinguish it from the background cellular infiltration in non-diabetic donors. However, the consensus definition does not take into account elevations in background infiltrate resulting from inflammation in the exocrine pancreas [4, 12, 13, 14]. Well-preserved biopsies obtained from individuals with type 2 diabetes may serve as suitable controls to exclude this inflammatory background from the lymphocytic insulitis in type 1 diabetes and our revised definitions take into account this background inflammation. In our study, only the donors with recent-onset type 1 diabetes and remaining beta cells fulfilled our revised criteria of ≥15 CD3+ cells in ≥3 islets  and we urge the scientific community to carefully re-evaluate the term ‘insulitis’ to reflect an immunological event specifically present during ongoing beta cell destruction. We agree fully that clarity is of paramount importance when defining insulitis and that the definition should be robust and applied rigorously. Since 2013, almost 50 published articles (according to Scopus [49; www.scopus.com/home.uri, accessed 12 January 2017] and Web of Science [45; http://wok.mimas.ac.uk, accessed 12 January 2017]) have cited the consensus definition. None have described all three criteria outlined in the letter by Campbell-Thompson et al  and only three original reports have used the consensus definition of ≥15 CD45+ cells in ≥3 islets [3, 11, 15]. Of these, two originate from our group [3, 15]. Notably, in a recent publication  Campbell-Thompson et al used ≥6 CD3+ cell in ≥3 islets to define insulitis with reference to the consensus definition . The lack of adherence to the consensus definition within the scientific community remains a problem and calls for a revision that is deemed worthwhile and adopted by scientists active in the field. We are aware that our suggestion is inconvenient for some, but revision of the consensus definition of insulitis from 2013  will hopefully have several important implications by: (1) allowing discrimination of the islet inflammation in type 1 diabetes from that in type 2 diabetes; (2) enabling discrimination of individuals with recent-onset type 1 diabetes from those with longstanding type 1 diabetes without ongoing beta cell destruction; and (3) having the potential to gain acceptance by the scientific community because of its usefulness as a tool for unravelling the aetiology of type 1 diabetes. A common definition of insulitis is important, as it allows comparison between studies. However, the focus on insulitis should not cause us to neglect other morphological findings that may be equally, or more, important in the large ongoing efforts to describe the comprehensive pathology of type 1 and 2 diabetes. It is our common struggle to unravel the mechanisms behind these two diseases and eventually allow for the development of preventive therapies. We wish to thank everyone in the Nordic Network for Clinical Islet Transplantation who was involved in the procurement of pancreases and islets. We also give our deepest gratitude to all organ donors. Work in the authors’ laboratories was supported by the PEVNET Study Group funded by the European Union’s Seventh Framework Programme [FP7/2007-2013] under grant agreement number 261441 PEVNET, the Swedish Medical Research Council (K2015-54X-12219-19-4), the Diabetes Wellness Foundation, the Family Ernfors Foundation, the Novo Nordisk Foundation, the Åke Wiberg Foundation, the Tore Nilsson Foundation, the Swedish Diabetes Association, Gillbergska Stiftelsen, and Barndiabetesfonden. Human pancreatic biopsies and isolated islets were obtained from the Nordic Network for Clinical Islet Transplantation, supported by the Swedish national strategic research initiative Excellence of Diabetes Research in Sweden (EXODIAB) and the JDRF. All authors were responsible for drafting the letter and revising it critically for important intellectual content. All authors approved the version to be published.